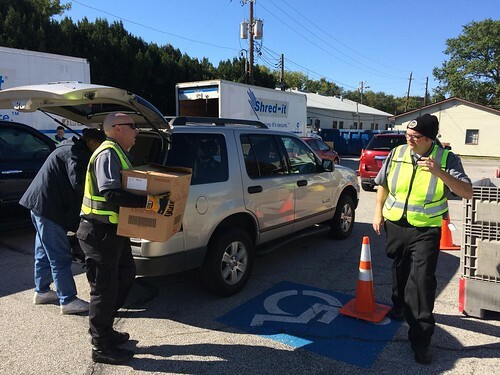 In response to the growing trend in online shopping and online business transactions, the Speedway Police Department has established an “E-commerce Exchange Zone.” Area residents can use this as a safe place to complete their private business transactions that are initiated through online sites such as Craigslist, OfferUp, and Facebook Marketplace. Each year these types of transactions have developed into crimes such as theft and robbery when individuals meet strangers in parking lots and other unsecured locations in communities across the U.S. 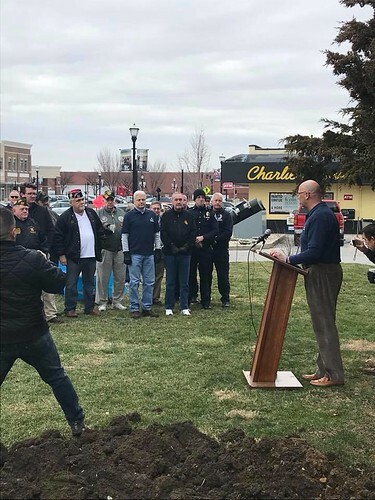 The Speedway Police Department has designated two parking spaces in the south parking lot located at 1410 North Lynhurst Drive. Although law enforcement officials will not be involved in the verification, monitoring, or facilitating of the transaction, it provides a familiar, well-lit area to conduct business. 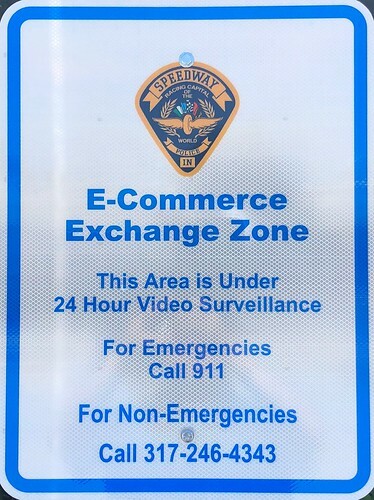 The Speedway Police Department also operates 24 hour video surveillance of this area and anyone utilizing the “E-commerce Exchange Zone” is subject to being recorded. No prior arrangements with the Speedway Police Department are necessary for these types of transactions. 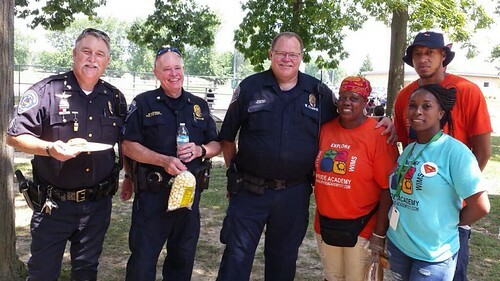 @SpeedwayPD officers attending a picnic with @PrideAcademy317 today at Meadowood Park. Thanks for the invitation. 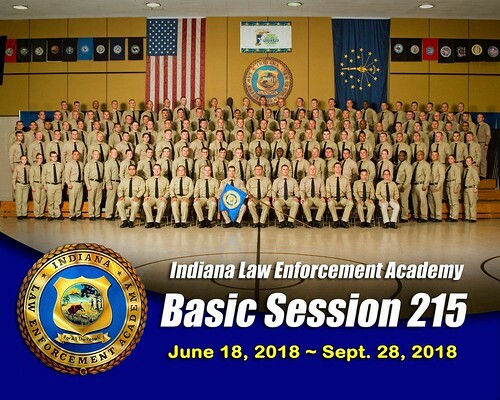 Congratulations Officer Derek Eisman and Officer Mark Ludwig on graduation the Indiana Law Enforcement Academy Basic Session 215. We look forward to having these officers back @Speedway_IN soon. Good luck on the beginning of your career in law enforcement. 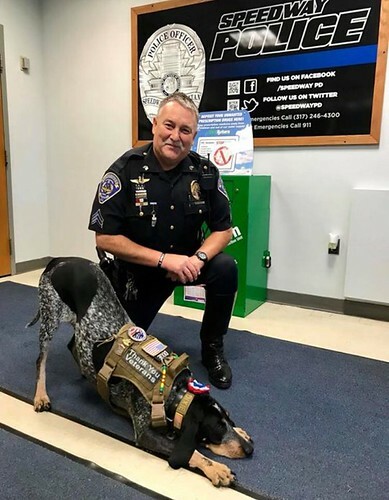 Dixie the Praying Dog came to visit the Speedway Police Department. Thanks for stopping by! 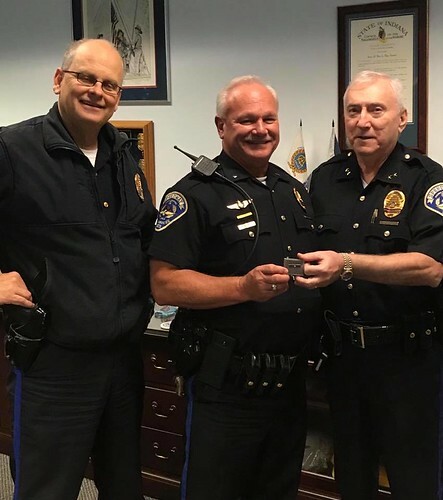 Congratulations to Lt. Sam Alexander for 25 years of dedicated service to the Town of Speedway! 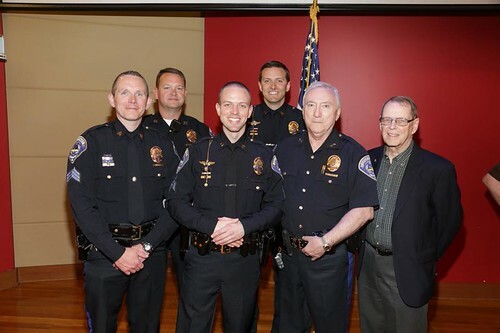 The 9th Citizens Academy Graduated this month. Students in the 12 week class participated in mock traffic stops and investigations, learned about drones, fingerprinting, K9, drove a police car, took a high speed ride and much more. 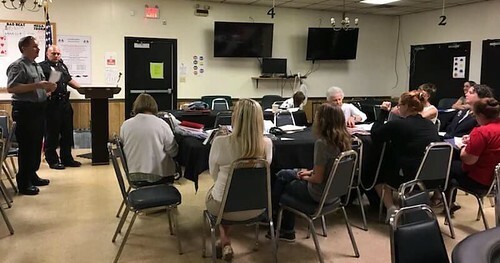 The Citizens Academy has more than 165 graduates with varying connections to the town of Speedway (residents, business owners and others). Citizens Academy attendees learn so much about the day to day operations of the police department and get to know Speedway officers, and are the best ambassadors and partners for the Police Department. 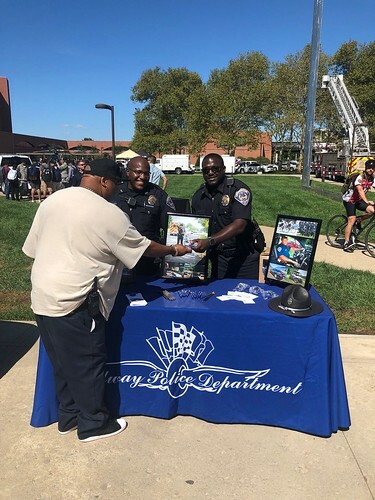 Graduates of the program who would like to get more involved in the community and assisting the department in their community policing partnerships, are eligible to apply for the Department’s Volunteers in Policing program. Click here for more photos from the 9th Citizens Academy Class! 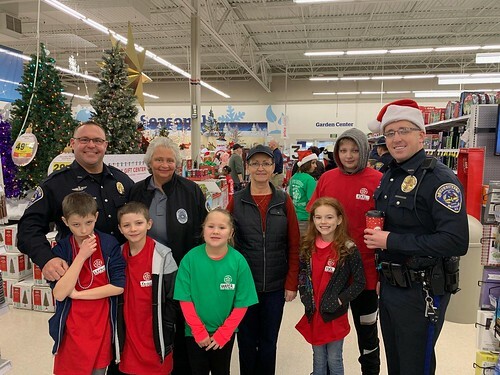 Officer Jereme Howery, Officer Mark Ludwig, and VIP Vicky Wilkerson at it already this morning @IndyFOP86 Shop with a Cop. 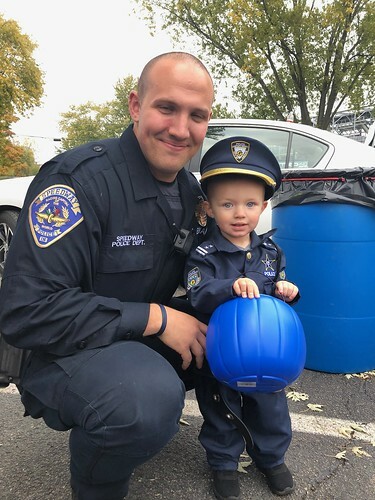 Officer Howery is with Caden and Landen and Officer Ludwig is with Karl and Alicia. Officer Howery’s daughter Harper is also helping out this morning. Thanks Harper Jo and all the local law enforcement helping with such a great program! 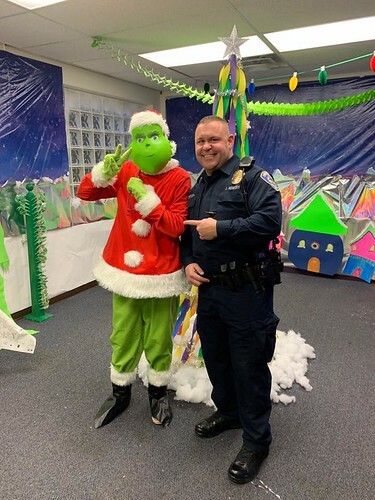 Look who Officer Jereme Howery ran into at Speedway United Methodist Church earlier today! 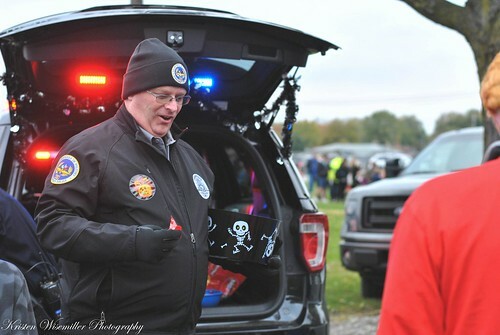 Captain Trent Theobald will be retiring from the Speedway Police Department effective December 14th to pursue a career in education at Ben Davis Area 31. We congratulate Trent for his 20 years with the department and wish him well in his new career. 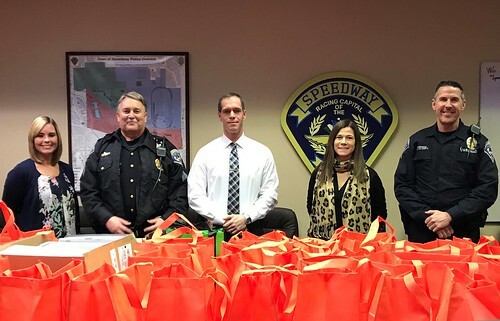 The Speedway Police Department scheduled an opportunity to personally say “Congratulations” on Friday the 14th of December, and many community members attended! We hope you enjoyed this recap of our 2018 Year in Review! 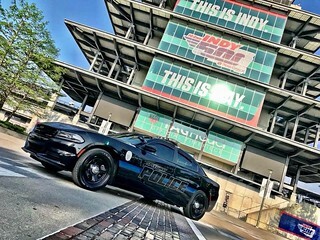 Better late than never, here is Part 1 of our review of many of the great things happening with the Speedway Police Department in 2018. Speedway residents participated in a 3-day basic class with Marion County CERT (Community Emergency Response Team). Participants learned a variety of information and skills regarding emergency and disaster preparedness, response, safety, communications, triage and more. Click here for more information on Marion County CERT. 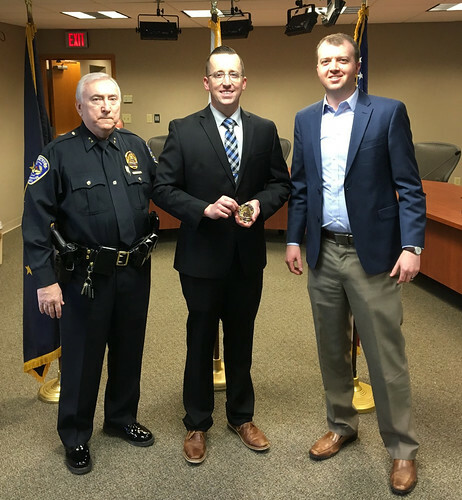 On Monday, February 5th, 2018, the Speedway Police Department hired its newest police officer. 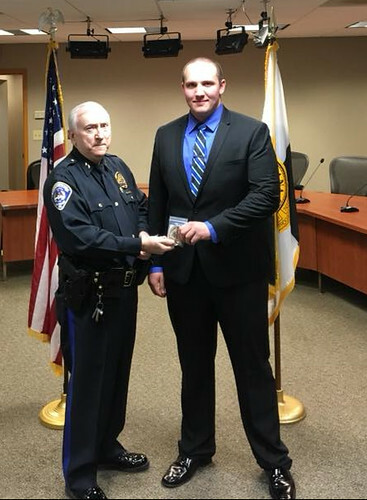 Officer Mark Ludwig, 28, was sworn in by Clerk-Treasurer Monty Combs during a ceremony held at the Speedway Town Hall. 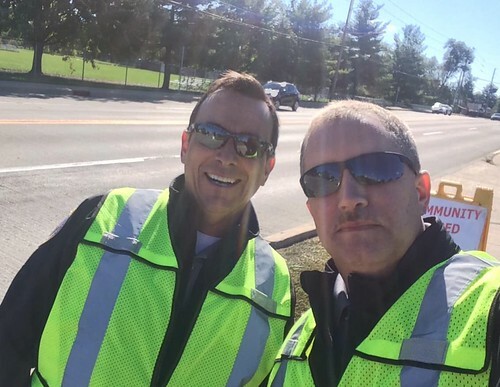 Prior to working for the Town of Speedway, Officer Ludwig was employed as a Shift Manager with Crew Car Wash. He also attended the Community College of the Air Force where he majored in fire science and is a current member of the Air Force Reserves stationed at Grissom Air Reserve Base. 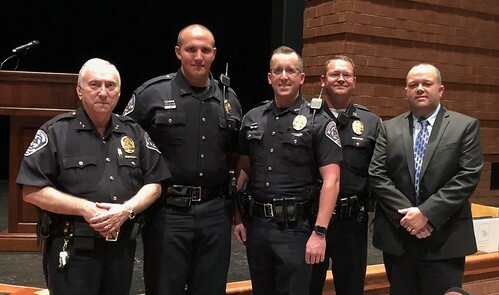 Officer Ludwig and Officer Derek Eisman, who was hired in January 2018, will both attend the Indiana Law Enforcement Academy later this year. 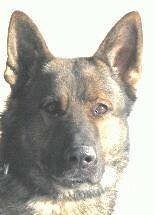 Welcome Officer Ludwig to the Speedway Police Department and the Town of Speedway. Great having Beacon of Hope back at Speedway PD today. Helpful information being provided to officers that will be useful during domestic violence & assault cases. Thanks again for providing officers with kits that can be used for assisting victims of domestic violence. 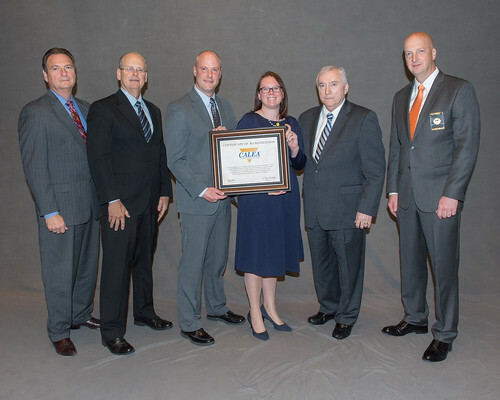 The Speedway Police Department accepts their award for reaccrediation at the CALEA conference in Frisco, Texas. Big news! 311 has been implemented as a non-emergency line in Marion County. It is only available for cell phones, but is much easier to remember than 317-246-4300. 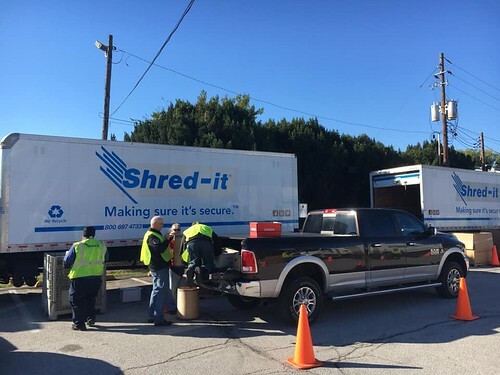 The first of two annual Shred-it Day events was held at the Speedway Police Department. Volunteers included members of the Department’s Volunteers in Policing Program. 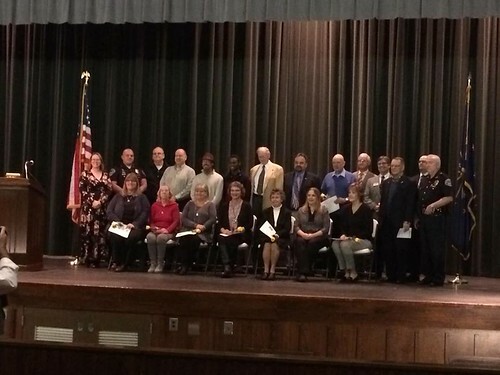 VIPs are all graduates of the Department’s Citizens Academy program. Proceeds from this event, held at several locations throughout the city, benefit Central Indiana CrimeStoppers. 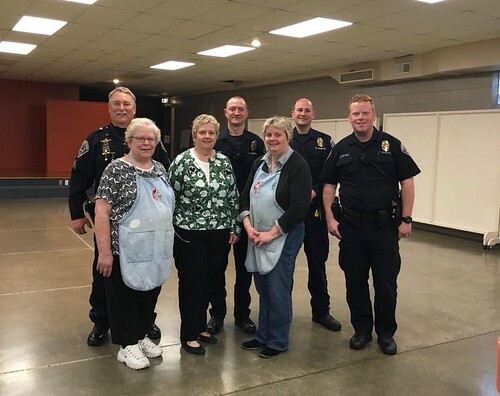 Speedway Police Operations Captain Trent Theobald welcomes Bell Racing to Main Street Thank you to Pastor Holly Hardsaw (and SPD Chaplain), Margie Ellison and the congregation of Speedway United Methodist Church for treating Speedway Officers to breakfast! The love and support is appreciated! Speedway PD is pleased to have three new supervisors graduating from the IMPD Leadership Academy. 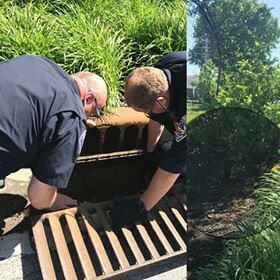 Congratulations to Sergeant Pat Hammel, Sergeant Kyle Hodges, Sergeant Jacob McAtee and all of the other agencies participating. 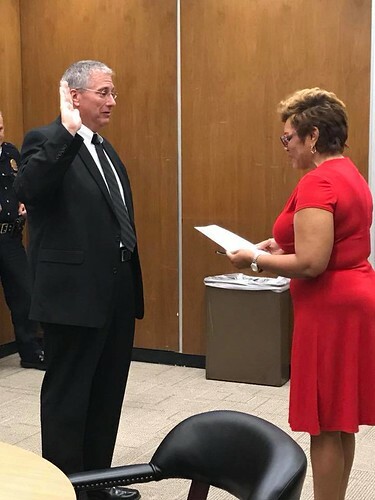 Kenneth Hull was sworn in as @SpeedwayPD’s newest Police Commissioner. 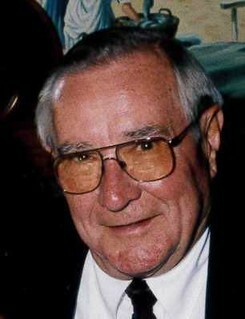 Thank you Mr. Hull for your commitment to the department. 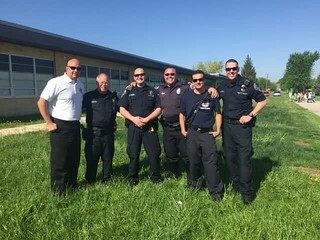 Speedway PD and Speedway Fire were at Wheeler Elementary for relay recess in support of Relay For Life. 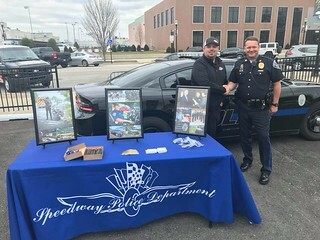 Congratulations to Officer Scott Highland for completing 5 years @SpeedwayPD. 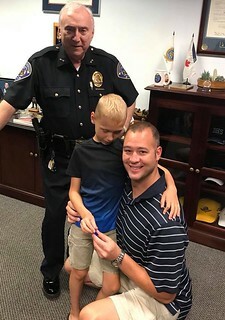 Officer Highland’s son presents him with his 5 year pin from the department and Chief Campbell. 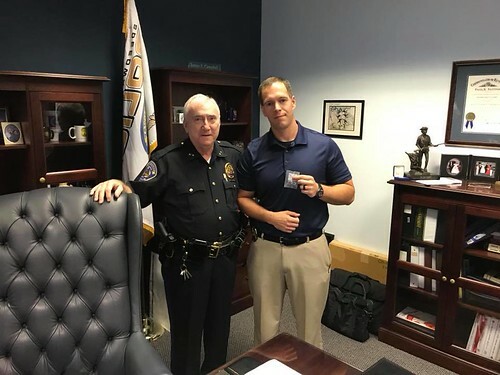 Congratulations to Detective Joe Harmon for completing 5 years @SpeedwayPD. Chief Campbell presented him with his 5 year pin. 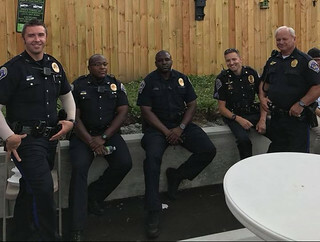 Some of Speedway PD’s finest hanging out at the OSCNA Block Party this evening at Barbecue and Bourbon on Main. 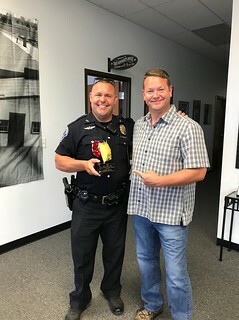 Officer Jereme Howery was awarded for his stellar performance in the Inaugural Taco Eating contest that was held Daredevil Brewing Co. during the Racemaker Productions Taco Run Indy on May 15th. Did you know you can help the Speedway Police Citizens Academy Alumni Association just by shopping at Kroger? 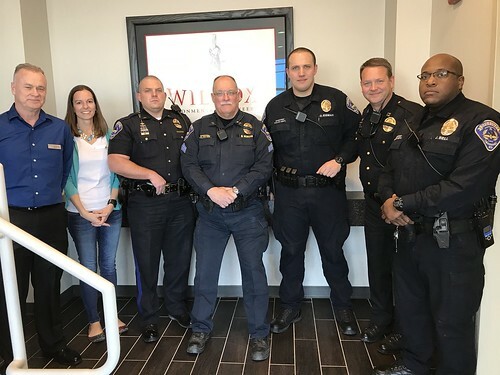 You can connect your Kroger card to the Speedway Police Department’s Citizens Academy Community Rewards account – each shopping trip helps the SPCAAA with our goals of helping bridge the gap between community and police and building positive community-police partnerships. 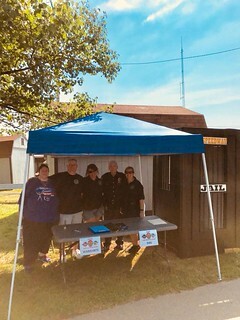 To assist in the furtherance of Speedway Police Citizens Academy Alumni Association (SPCAAA) goals, the organization has been approved as tax-exempt under IRS 501(c)(3), and will raise funds to help the Speedway community and police department. One way is through the Kroger Community Rewards program, and you can help us! All you have to to help us is to register your Kroger Plus card with the program, following the simple steps below. Once your card is registered, simply use your card when you make your purchases and Kroger makes a donation to our organization! The SPCAAA is an auxiliary organization comprised of graduates of the Speedway Police Department’s Citizens Academy program. 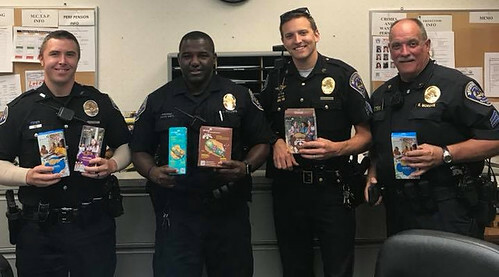 The SPCAAA serves as an extension of the department by providing support, community outreach, distributing information about the department’s community policing programs (see links above), serving as goodwill ambassadors and helping foster positive community-police relationships. Is your Kroger Card already registered online? If so, you can sign in to your Kroger account and then register following the steps below. Visit the above website. Click Sign In, then log in using your current Kroger login/password. Once logged in, click Enroll Now, scroll again to Community Rewards and click Enroll. 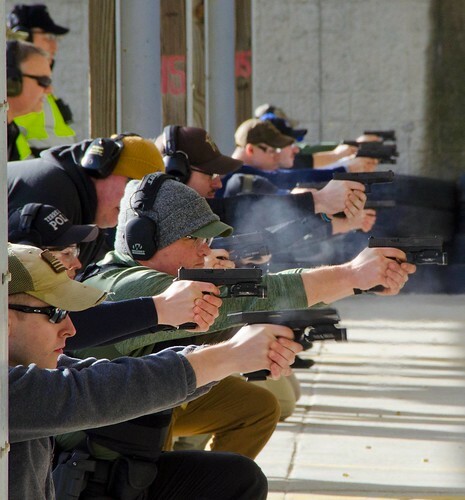 Enter NPO number 18107 or name of organization Speedway Police Citizens Academy Alumni Association, select organization from list and click on Confirm. If you have a Kroger Plus card but you have not registered for an online account, you must do that first, by following the steps below. REMEMBER, your purchases will not count for our group until after you register your card(s). 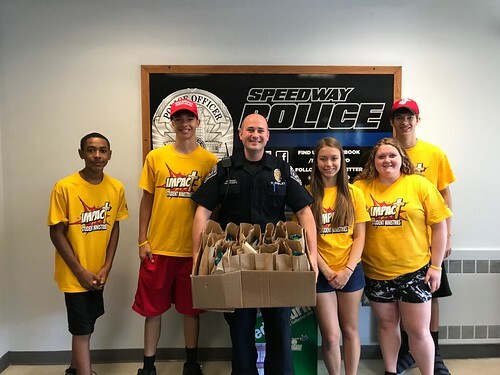 Thank you very much for your support of the Speedway Police Citizens Academy Alumni Association and our mission to help build positive community-police relationships within the Speedway community! MARK YOUR CALENDARS. 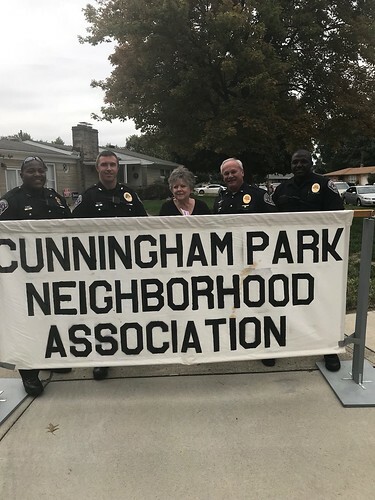 The Speedway Police Department will be holding quarterly Neighborhood Watch meetings in 2019. Meeting dates are listed below. All meetings to be held at the Community Health Pavilion on Main Street. Meetings start at 6:30 P.M. 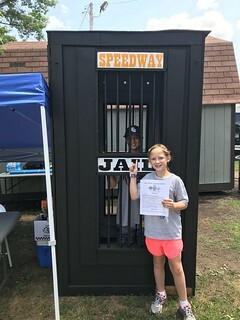 The Speedway Police Department is inviting residents of Speedway to join members of the Department in celebrating National Night Out crime prevention event. 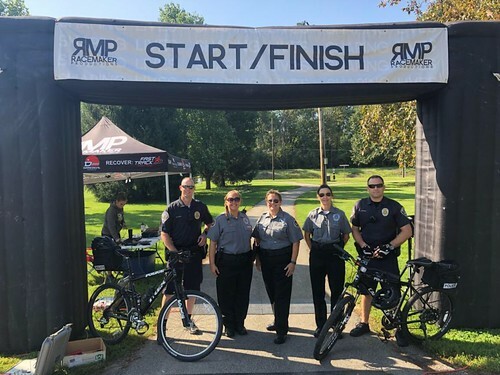 The event, which is sponsored by the National Association of Town Watch, brings over 38.1 million people in more than 16,540 communities together to promote the partnership between the police and the community. The event will encourage crime, drug and violence prevention, safety, and neighborhood unity. Citizens across America can send a powerful message about neighborhood unity, awareness, safety, and police-community partnerships. Let criminals know that the Town of Speedway is united and dedicated to building a safer, more caring community. Please join the members of the Speedway Police and Fire Departments for the event to be held on Tuesday, August 7th, 2018, in Leonard Park from 6-8PM. 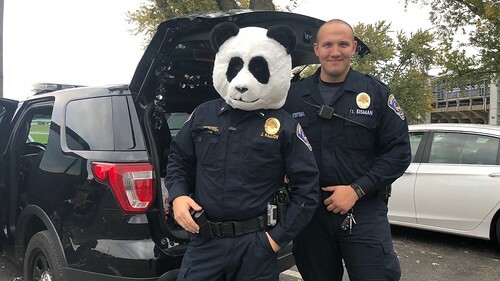 Highlights of the National Night Out event will include free food and drinks provided by area merchants (while supplies last), police demos, and information about various anticrime initiatives. We’ll also have music, kids’ activities, information booths from public safety-related organizations, civic groups, town departments, and much more!